Spindle Law. Thanks to Robert Ambrogi for alerting me to Spindle Law, a new collaborative website that collects knowledge and citations about legal subjects in an open, cloud based format that should prove extremely useful. If you remember creating outlines for study in law school, and sharing them with other students, Paper Chase style, you will understand the concept. However, the combination of the web, and practicing lawyers, and the Internet, should prove to make the concept very useful. 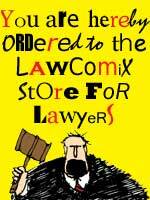 There aren't enough lawyers yet, and there aren't enough areas of law covered yet. The site is in alpha stage. But, when you join and add your knowledge to the tree, who knows what might happen? Onit Project Manager - Onit. Everything legal seems to be gravitating towards the web. Free Project Management application, Onit, is no exception. 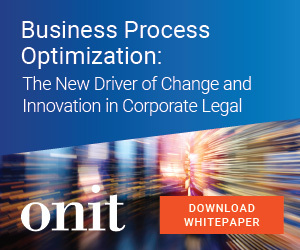 If you want to manage people, tasks, litigation projects, or anything that requires shared scheduling and task management, you can't do better in the cloud than with Onit. It is easy to use, easy to navigate, and has plenty of features that will make your complicated litigation assignments manageable. Try it for free. Use it for free. As FutureLawyer readers know, free is good. Real HDMI App for DROID X Unlocks HDMI Magic | Droid Life: A Droid Community Blog. If you want some Droid X goodness on your big screen TV, this is the app for you. The Droid X has an HDMI out port; but, the base version only permits the showing of photos from the phone on the TV, or downloaded video. For a measly $1.99, Droid X users now can connect with a dedicated cable (micro HDMI to full HDMI), and watch the Droid X and all of its functions on the big screen. I could already do this on the Incredible; but, it is nice to have on the Droid X as well. You gotta love open source. Snap-on case with kickstand for Motorola Droid X Search Result reviews - CNET Reviews. Okay, now I am a happy camper. I have been jonesing for some time for a kick stand like the one on the EVO from HTC and Sprint. Now, Motorola has a case with a little kick stand built in to the back of the case. Very nice. Now, I don't have to find something to prop the Droid X against every time I want to watch a video on the go. The only problem with these manufacturer cases is the price - $24.95? Please. Nitro PDF Reader Free - It Writes! Nitro PDF Reader %u2014 The PDF Reader, Reimagined. The new beta of Nitro PDF Free now does more than any free PDF Reader software out there, and for free. You can read and write PDF files, pull text and graphics out, connect with Evernote, and it uses a familiar Ribbon style interface that has become standard with Microsoft Office products. It will read in a browser, and allows search, find, zoom and other features for PDF files. You can't beat free, and you should see if it does what you need before you spend your money on another product. Toshiba Readying Both Android and Windows 7 Tablets, "SmartPad" Coming This October. The tablet wars are about to begin, and it sounds like the PC/Mac wars, and the Android/iOS wars, all over again. We all like comparisons, and we get passionate about our tech. However, maybe, just maybe, everyone is right? The new Android tablets, like this one from Toshiba, will be hitting the streets in a couple of months, and the inevitable comparisons will be made to the Apple iPad. The Apple lovers will tout the slim form factor, the sleek interface, and the apps. The Android lovers will tout the USB ports, the HDMI out ports, the open Android system, the SD card readers built in. The people who hate tablets in general will call tablets notebook computers without keyboards. However, when these things are used for what they were designed for, you don't really need a keyboard. You can carry them around, and read magazines, watch videos, and browse the web in your lap. Notebooks are pretty uncomfortable for those uses. So, the real battle will be with the big smart phones, like IPhone 4, Droid X, and EVO. Do you really need a screen that is bigger than 4 inches? Do you want a media device that won't fit in your pocket? Do you want both? Answer all of these questions, and the device you should buy will become clear. But, let's not make fun of those who choose differently. à chacun son goût. Quick, what does the Internet do better than any other form of communication? Why, educate at a pace that changes with each reader, of course. What if you could combine the benefits of a live teacher in a classroom/blackboard setting with the power of the Internet? And, this free education is available to anyone with a browser and an Internet connection. This 6 minute video describes how it came to be and how it works. Now, even an English Lit major like me can learn Algebra and Calculus, at my own pace. Google Gmail calls: calling time on the telephone? - Telegraph. While I wait on the Droid Incredible 2.2 update, so that I can watch NFL games on flash, I have been playing around with the Google Voice add-on to GMail. Amazing. I have been annoying friends and family with calls; I set up my little Bluetooth earpiece to intercept sound and send voice instead of the computer speaker and mike, and it works great. But, the coolest thing is that any Google Voice call rings my home phone, both cell phones, and sends transcriptions and voice messages to my computer and to my Gmail. It won't be long before Google Voice is my only phone, and the Business lines that cost a fortune go the way of the dinosaur. It's a new world of communication, and you need to check it out. Droid Incredible Android 2.2 Starts Today? Droid Incredible Android 2.2 rollout pegged for August 27th [Maybe this time]. Froyo goodness comes to the Incredible starting today. So, sometime over the weekend, keeping the Incredible after I upgraded to the Droid X will turn out to be a wise decision. The Incredible, with the assistance of an HDMI cable, outputs its goodness to a big screen. With 2.2, and Flash 10.1, Droid users will be able to watch a rich stream of video content from the Internet, not the lease of which is NFL Mobile and the NFL Network. Oh joy. Oh happy day. Now, when am I going to find time to practice law?